Chicken Vector Cartoon Chick Character Hen And Rooster In Love With Baby Chickens Or Hen Sitting On Eggs In Hen Coop Illustration Set Of Domestic Birds In Hen House Isolated On White Background. Royalty Free Klipartlar, Vektör Çizimler Ve Stok Çizim. Image 99444114. 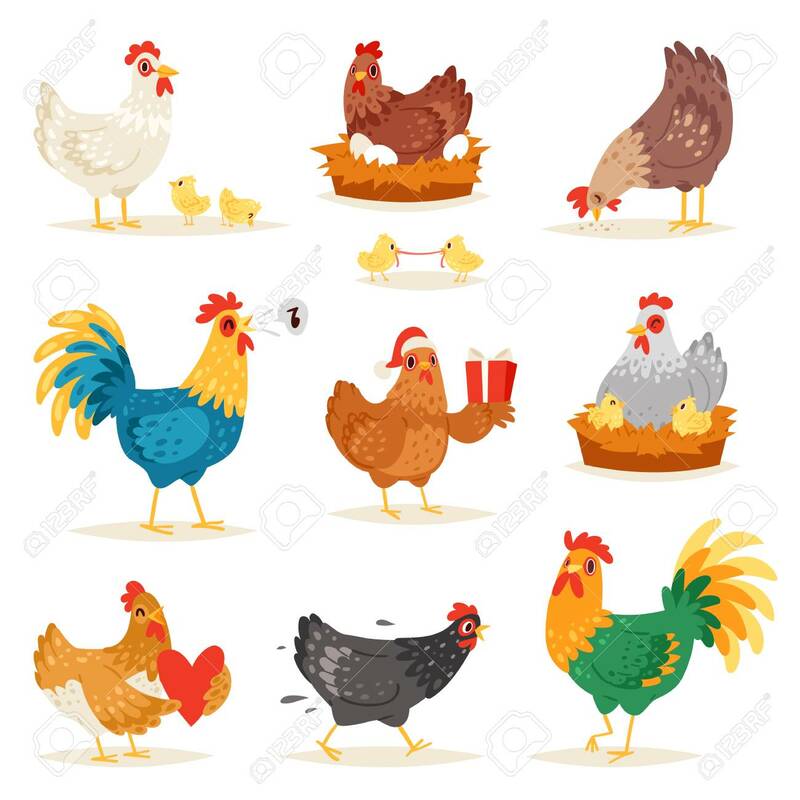 Stok Fotoğraf - Chicken vector cartoon chick character hen and rooster in love with baby chickens or hen sitting on eggs in hen coop illustration set of domestic birds in hen house isolated on white background. Chicken vector cartoon chick character hen and rooster in love with baby chickens or hen sitting on eggs in hen coop illustration set of domestic birds in hen house isolated on white background.